James is a specialist in protecting and building wealth for individuals, and in business risk management (succession planning, buy/sell agreements, and key person insurance). 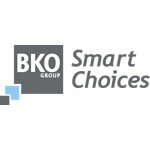 James is a Financial Planner with BKO Group. Mariart is a full service creative agency, with an experienced and dedicated team, bringing together a diverse range of skills, across a number of different disciplines. Mariart’s commitment to their craft is driven by a dedication to their clients and their desire to see their businesses succeed. Nguin Warrup are a not for profit organisation which strives to create a greater awareness and appreciation of Australia’s unique Indigenous cultures. Their work ranges in scope from small community based events through to extensive multi media performances in major venues and public spaces. WHK is the fifth largest accounting business in Australasia, specialising in small and medium businesses. James has a particular interest in helping businesses to achieve their potential and reap the benefits of their hard work. He enjoys working closely with clients to resolve current issues and prepare for successful futures. Working with the WHK network allows your business to tap into the experience and knowledge that can only come from working with many industries and businesses of all sizes.